Polyester carpet has been a popular choice in floor covering for a long time, and understandably so. 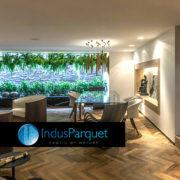 Not only is it durable and aesthetically pleasing, it also has a high level of stain resistance and is very affordable. 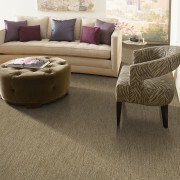 Polyester’s high-luster appearance lends itself to carpets in a wide range of beautiful colors. 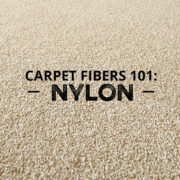 You can easily see its lustrous appeal by comparing it, for instance, to a nylon carpet in the same color. Polyester stands out for its vibrant hues, while nylon carpet has a much more matte tone. 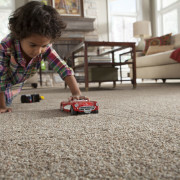 Polyester carpet is inherently stain resistant, though not completely stain-proof because polyester is made with a closed-cell fiber. While it may not have quite the durability of nylon carpet, new technology has closed the gap between nylon and polyester carpet, making polyester now stronger than ever before. Polyester carpet tends to be less expensive than nylon carpet because of the lower cost of raw materials and the manufacturing process. This makes polyester a great option if you have a limited budget; you will get a better value for your money. And since polyester carpets are available in a wide range of styles and price points, you will have a plethora of choices. While synthetic fibers may not be quite as environmentally friendly as natural fibers, polyester is one of the most eco-friendly synthetic fibers, considerably more so than nylon. Polyester is also very easy to recycle. Additionally, most of the polyester used in carpet manufacturing today is made from recycled PET (from plastic soft-drinks bottles.) This process keeps millions of plastic bottles out of landfills; plus, it reduces the amount of resources needed in the manufacturing process. At Go Mobile Flooring, you can rely on our fifty years of combined experience to bring you the ultimate options in polyester carpet. We bring the showroom to you, so you can examine the quality and range of our flooring at your convenience. Give us a call to arrange an appointment for an on-site consultation today.